Today, I wonderful guest post by Alice to share with you! I hope you enjoy the post, and head over to visit Alice’s blog afterwards – agdoesmakeup.blogspot.com. Hello everyone! I’m Alice from agdoesmakeup.blogspot.com and in a nutshell I’m a teenage makeup addict/shopaholic. 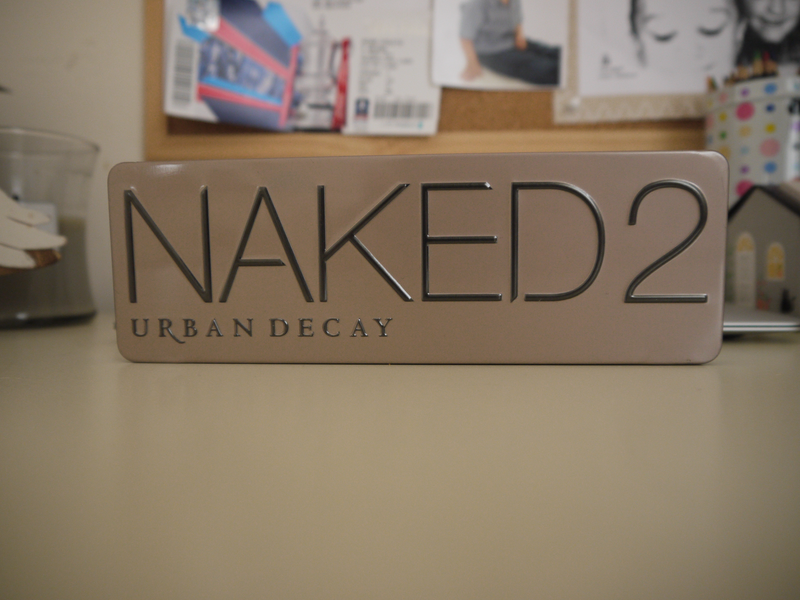 Unless you’ve been living under a rock for a rather long time, you’re aware that Urban Decay’s Naked 2 palette is considered holy grail in the beauty blogger community, as it’s a covers-all-needs neutrals eyeshadow palette with matte and shimmery shades. Despite the time since it’s launch, the palette has remained at the steep price of £37.00, urging some drugstore brands to come out with dupes. 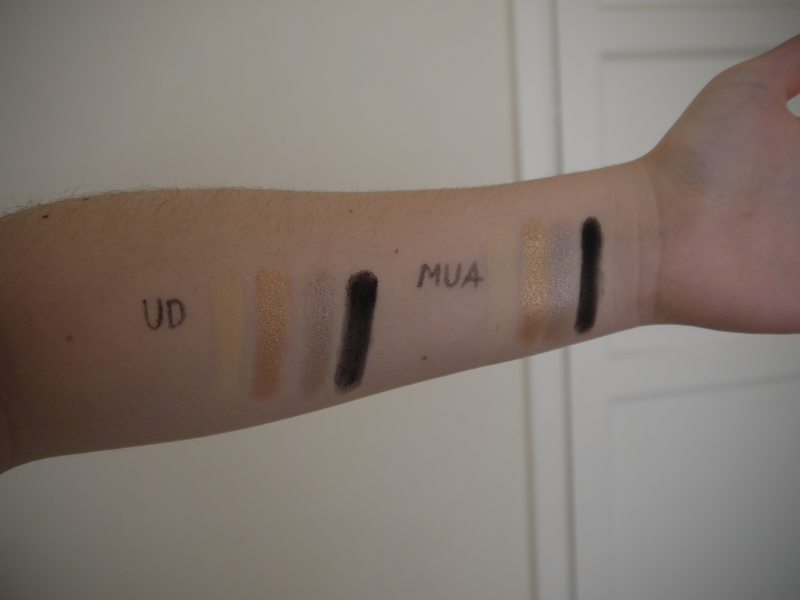 Out of the few drugstore alternatives I’ve swatched, MUA’s Undress Me Too palette appears to be the closest match. 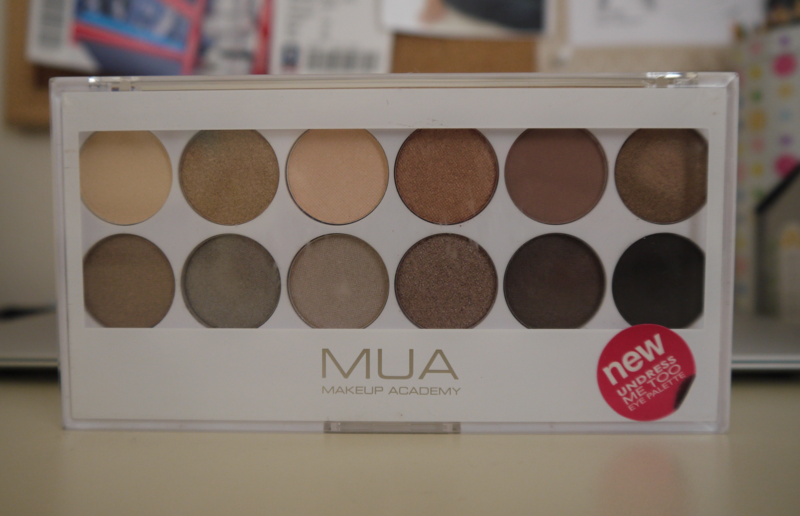 Lots of bloggers have mentioned MUA’s Heaven and Earth palette as a dupe, too. I’ve always been a big fan of MUA’s eyeshadows for their pigmentation, creamy texture and ease of blending. Whilst I’d still say that Urban Decay’s eyeshadows are the tiniest bit more pigmented, MUA’s Undress Me Too is a fraction of Naked 2’s price, at £4.00 in all Superdrugs. The MUA packaging is more compact, without a mirror, made of plastic and comes with a double-ended sponge brush. With UD, you get slightly more product, a mirror, and a double-ended brush. You would assume that the packaging put on UD’s palette is sturdier that MUA’s, but I’ve found the cheaper alternative to have a better packaging. So, in conclusion, I’d vote MUA’s Undress Me Too over Urban Decay’s Naked 2. This is because in my experience the packaging is more ideal & sturdy, and the minor price makes up for the slight drop in the products pigmentation. What a great post that was! I am definitely going to head over to Superdrug when I’m shopping next to check out MUA’s Undress Me Too! 🙂 Remember to head over and check out Alice’s blog here!